Who else loves finding new products at the grocery store? I know I can’t be alone…well, maybe I’m the only one who almost squeals when I see something I’ve been searching for forever or something that just looks too good to pass up 😉 Lately, on all my Whole Foods trips, I’ve been buying at least one new-to-me product so I thought I’d share some of them with you in case you’ve been seeing them too and wanted to know if they’re worth the splurge. Spoiler alert: most of them are! 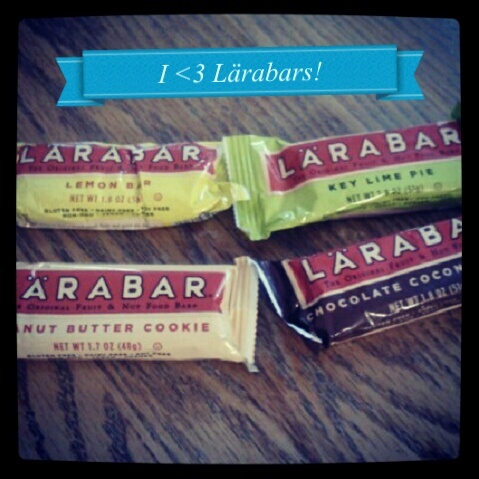 (Some) of the new-to-me flavors: lemon bar, key lime pie, peanut butter cookies, chocolate coconut chew. 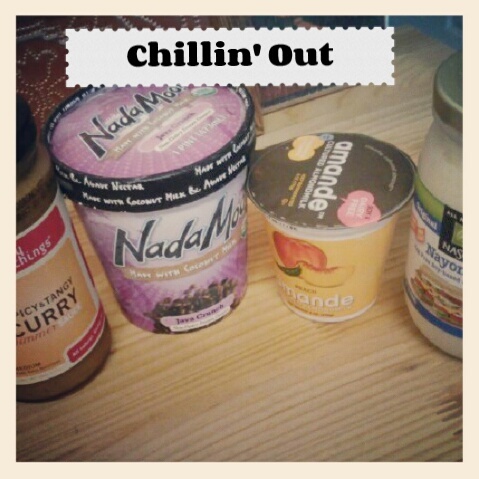 From the freezer/fridge: Spicy Nothings curry sauce, NadaMoo! java crunch coconut milk ice cream, Amande peach almond milk yogurt, Nayonaise. Okay, I can’t say enough good things about the curry sauce and coconut milk ice cream! The curry sauce is perfectly spicy (which, coming from me, is saying something, because I love all things spicy, and most things aren’t spicy enough) and so good over veggies and the ice cream is so dreamy and creamy, all without dairy. Love it. I kinda like the Amande yogurts, since they’re made from almond milk, but they have the weirdest texture. I can’t wait to find the So Delicious Greek style almond milk yogurts because I’m guessing they’ll be so creamy and thick, not jelly-like like Amande. I do love that it’s got vegan probiotics and plenty of calcium though. I haven’t tried the Nayonaise yet, but I really want to use it in curried tofu salad and tofu crab cakes! Told you I love the LabelBox app! 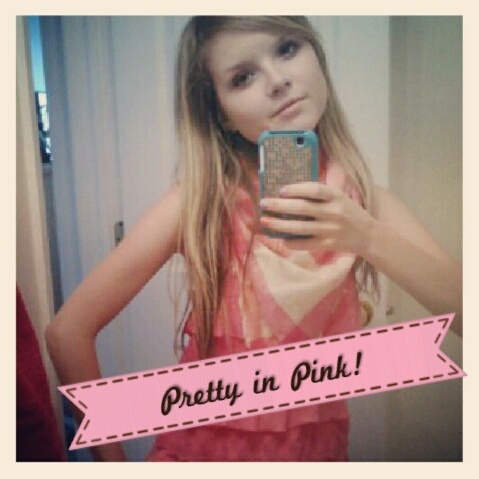 Like I mentioned in my latest Friday Faves post, I love LabelBox app. It’s probably not new, but it still is to me, and it’s just so fun to use. Get it now if you still haven’t (bonus–it’s free)! 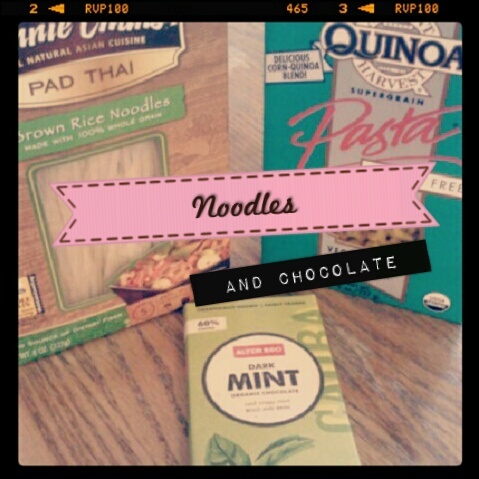 Annie Chun pad Thai style brown rice noodles, Alter Eco dark mint chocolate, veggie spirals quinoa pasta. The quinoa pasta isn’t new to me, but this particularly shape is! Who else loves getting cool shaped pasta just because? Plus this one is made with veggies, in addition to corn and quinoa flour. Yum. I also really love the brown rice noodles. They just have two ingredients, brown rice flour and water. It doesn’t get more simple than that, and they’re also really tasty with Asian dishes! But the real winner in this line-up is the chocolate. I used to think Chocolove was my favorite chocolate brand, but Alter Eco basically takes the cake. 7 of their 10 flavors are vegan, they’re totally organic and fair trade certified, which I think is awesome. The company is really focused on sustainability and being fair to the coffee growers, which is so much more than most companies can say. Plus they have a chocolate bar with quinoa puffs in it, which just sounds delicious! A yummy, nutritious Pan-Asian dinner: brown rice noodles stir-fried with Spicy Nothings curry sauce, steamed kale and spicy orange-glazed chickpeas. And finally, another recipe for you! I kinda made up this dinner on the spot but it turned out so good that I couldn’t not share. You can use whatever curry sauce you love or have on hand, but I definitely recommend the Spicy Nothings brand. In a small bowl, mix together orange juice, maple syrup and red pepper flakes. Toss in chickpeas and let marinate for 15-30 minutes. In a pot, boil water and add in brown rice noodles. Cook for about 5 minutes, or until softened. In a wok or sauce pan, cook chickpeas and kale until orange glaze starts to bubble. Stir in cornstarch until glaze thickens and add in noodles and curry sauce. Mix until combined and serve garnished with cashews, cilantro or sesame seeds. Serves 1. Do you like buying fair trade products? What’s your favorite noodle/pasta shape? Happy 4th of July to all my fellow U.S. bloggers! Unlike most years, I won’t be watching fireworks…well maybe on TV, but due to all the fires, most fireworks shows were cancelled around here. I will be wearing some red, white and blue and enjoying some festive eats, though–maybe with a recipe to come! Anyways, for this week’s WIAW I wanted to highlight some new things I’ve been enjoying lately and share a couple recipes. Note: This was not all eaten in one day! 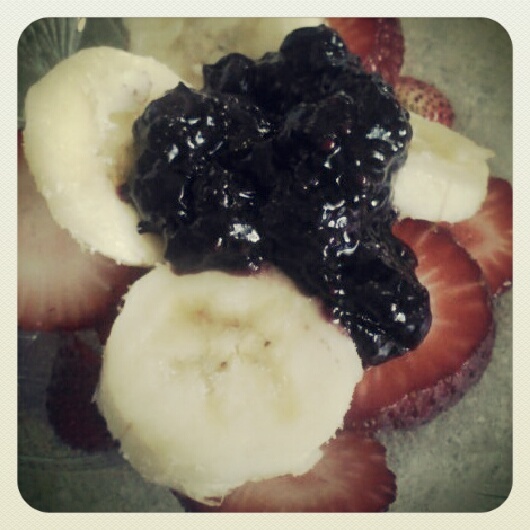 Red, white and blue fruit bowl: fresh strawberries, frozen banana, double blueberry chia jam. I’ve been wanting to make my own jam forever so when I stumbled upon Angela’s blueberry chia jam, I knew I had to make it. I bought chia seeds for the first time ever and adapted the recipe to what I had on hand. Turns out, homemade jam is 1000 times better than storebought. And it’s not that hard to make! In a small pot, bring blueberries and agave to a low boil, stirring often. Once boiling, reduce heat to low and simmer for a couple of minutes. Lightly smash the berries with a fork, if desired. Stir in chia seeds, stirring often to prevent from sticking to the pot. Simmer for 10 to 15 minutes, or until jam is at your desired consistency. Remove from heat and store in a glass tupperware container or jar in the fridge. Makes about 1/2 cup. This flavor is now in my top 5! 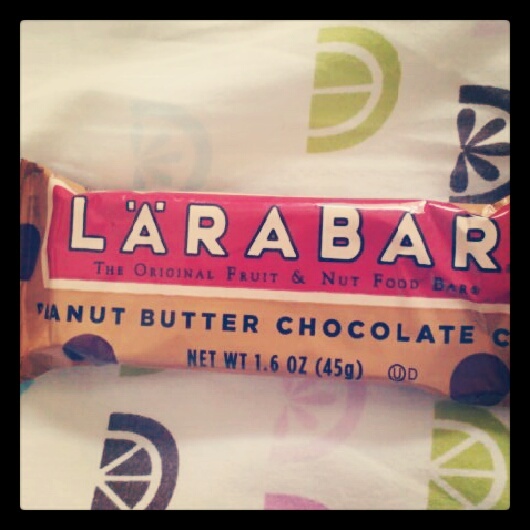 I still can’t believe I used to hate Larabars a couple months ago. Correction: I was scared of them, because of their calorie and fat content. Truth is, I love ’em now and all their calories and fat come from healthy, simple sources. Nothing but real foods in these! I was finally able to track down a couple new-to-me flavors, peanut butter chocolate chip and key lime pie. I’ve yet to try the key lime but the PB chocolate chip is amazing, especially when the chocolate chips melt, which is inevitable in this heat wave. Now I’m dying to try the chocolate chip cookie dough one! 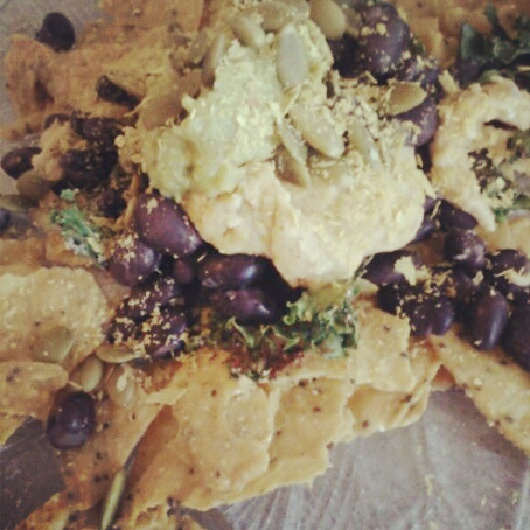 Homemade vegan nachos: Late July sweet potato multigrain chips, black beans, spicy nacho cheez, crispy kale, guac, pumpkin seeds and nooch. I think I have a problem. I put nooch on almost everything I eat now! It’s just so addicting, and I love knowing I’m getting a little protein and B vitamin boost from it. These nachos are my favorite thing to whip up for a quick and easy dinner. The cashew cheez sauce is what makes it! 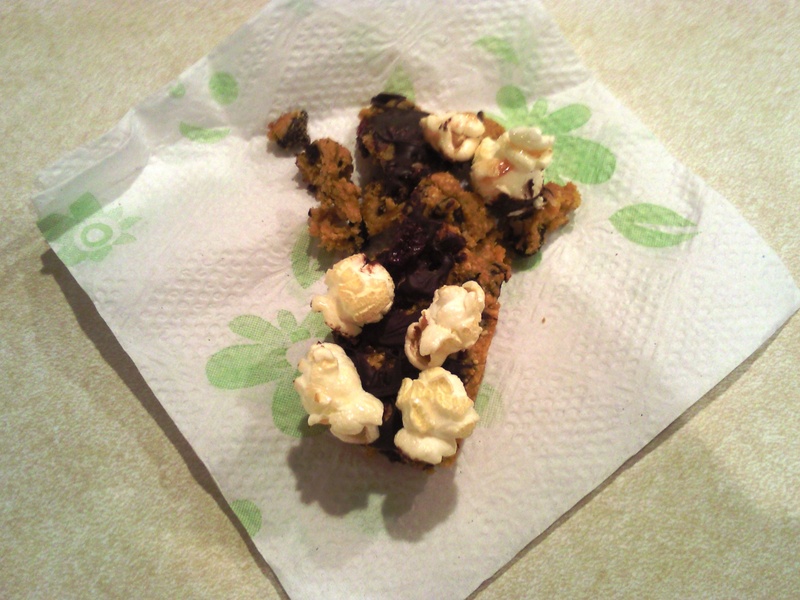 Cookie the size of a salad plate…dominated! If you haven’t tried Whole Foods’ vegan chocolate chip cookie and you have a store near you…go buy one now! I promise it’ll be the best 99 cents you’ve ever spent, especially if you pop it in the microwave for 30 seconds. 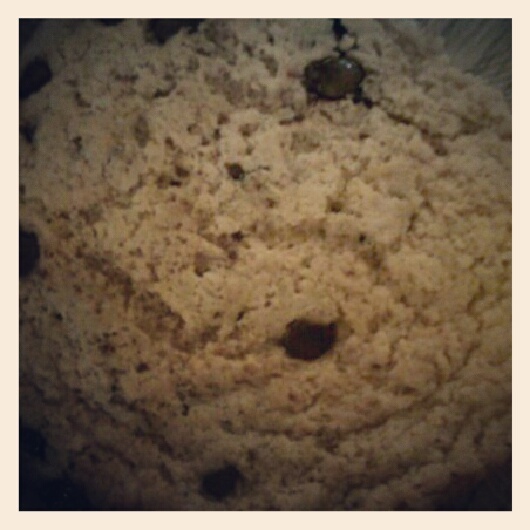 I’m always shocked that this gigantic cookie has only 170 calories in it–the magic of vegan baking! This $6 salad bar box was worth every penny. I’m obsessed with the Whole Foods salad bars. The one near me always has a great selection and a lot of their options are vegan. I load up on a little bit of everything and it always turns out perfect. 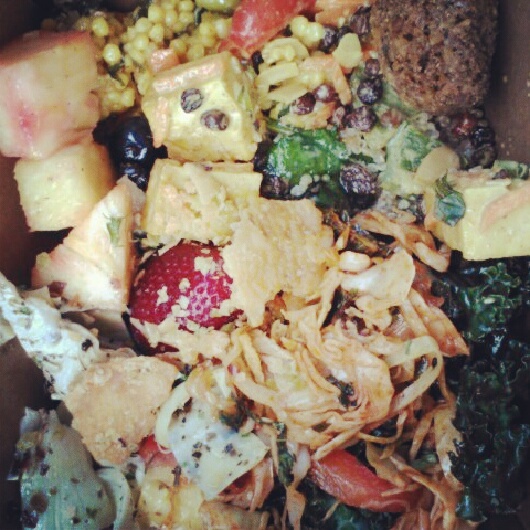 I can’t even remember everything in this box but there was some emerald sesame kale, marinated artichoke hearts, fruit salad, a warm bok choy salad, Asian cous cous, Mediterranean crunch salad, curry tofu and a falafel ball. It was worth all the stares I got for eating it at my internship–some people just don’t appreciate healthy eating! 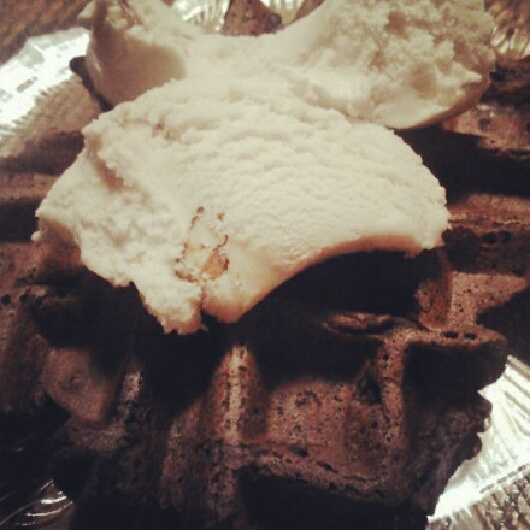 Double chocolate protein waffle topped with NadaMoo! maple pecan coconut milk ice cream. I’ve really been into making protein waffles lately. First I made them with peanut flour but then I tried some protein powder samples I got from Whole Foods. This one was made with Vega One and it was soooooooo good. For a snack, I topped it with some coconut milk ice cream. The ice cream melted all over the warm waffle which made it even better. Heat up waffle iron (or skillet, if making into pancakes) and spray lightly with nonstick cooking spray. Mix together all dry ingredients until combined. Add in flax egg and almond milk until batter is smooth and thick, but can be easily scooped up. Spoon batter (in two batches) onto waffle iron and cook until outside is crispy, about 3 to 5 minutes. Makes 2 waffles (the entire batch has about 18 grams of protein and around 300 calories!). Since I became vegan, I’ve become much more creative with pizza toppings. I rarely even use vegan cheeses anymore but pizzas don’t really need cheese if you have amazing toppings. 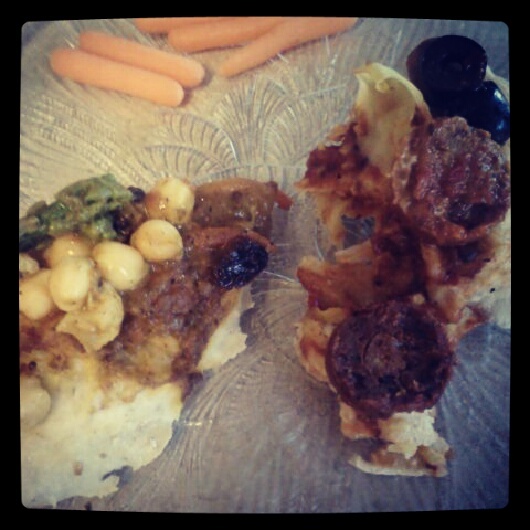 The one on the left is an Indian-inspired pizza topped with curry sauce, raisins (weird, I know, but it was actually good), cauliflower, carrots and chickpeas. The one on the right was a spicy Italian version with Field Roast Mexican chipotle grain sausage, garlic basil sauce, artichoke hearts and kalamata olives. The crust was amazing too, even though it turned out super thick. I used the fresh multigrain pizza dough that Whole Foods sells in their refrigerated section and I love the taste and doughiness of it, but it tends to rise a little bit too much! 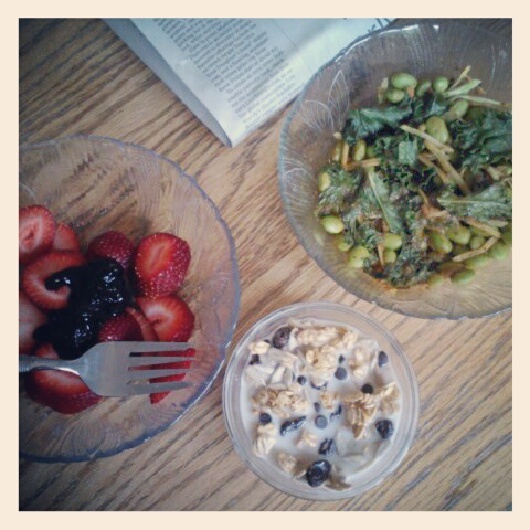 Recent lunch: strawberries topped with double blueberry chia jam; peanut flour granola in almond milk with raisins, sunflower seeds and mini chocolate chips; spicy curry sauce with edamame, broccoli slaw and kale. I’ve been loving whipping up a simple curry and veggie bowl for lunch lately. 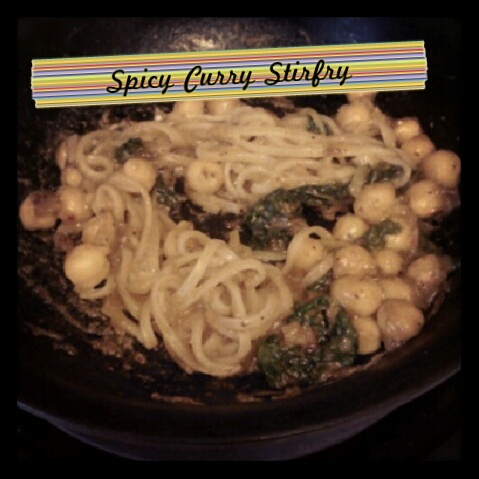 The sauce I use is the spicy & tangy curry sauce by Spicy Nothings and it’s one of the best curries I’ve ever had. It’s not even honestly that spicy, but then again I’m kinda obsessed with spicy things. It goes so well with kale and edamame but I want to try it soon with some tempeh! How do you get in protein in the mornings? Do you like things spicy or mild? OMG! Can you believe that Christmas Eve is tomorrow and then it’s Christmas? And in a little over a week, we’ll all be embarking on a brand new year! How crazy is that? I have definitely been getting into the Christmas spirit lately, between watching classics like “Rudolph the Red-Nosed Reindeer” and SNL’s “A Very Gilly Christmas” TV special (okay, not so much a classic but I adore SNL!) and stocking up on groceries for the big day. But there’s also a big part of me that almost can’t believe it’s so close to Christmas already. That’s where my little inspiration board comes in! I don’t want to leave you with a post that’s completely food-less so I’ll share some of what I’m planning on eating in the next couple of days! 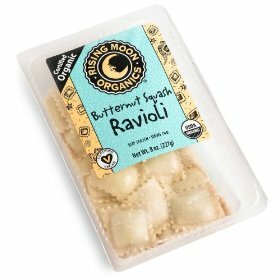 Vegan butternut squash ravioli? Ummmm yes! I discovered vegan ravioli over the summer and it was goooooood! I decided to try this brand this time around and the butternut squash kind sounds like it’ll turn out delicious. 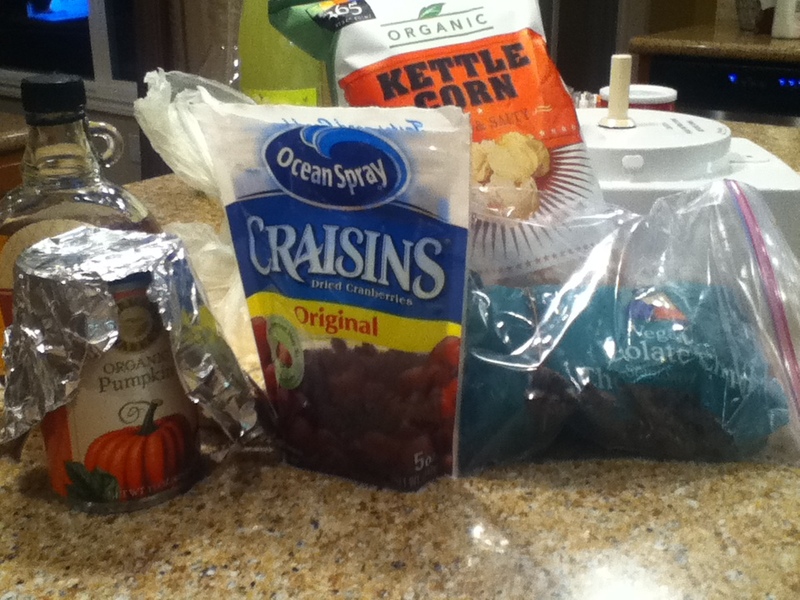 This is going to be my Christmas Eve dinner, topped with some kind of curry sauce that I’m planning on making myself. Hopefully my peanut flour will arrive before then so I can use that! Don't these just look adorable? 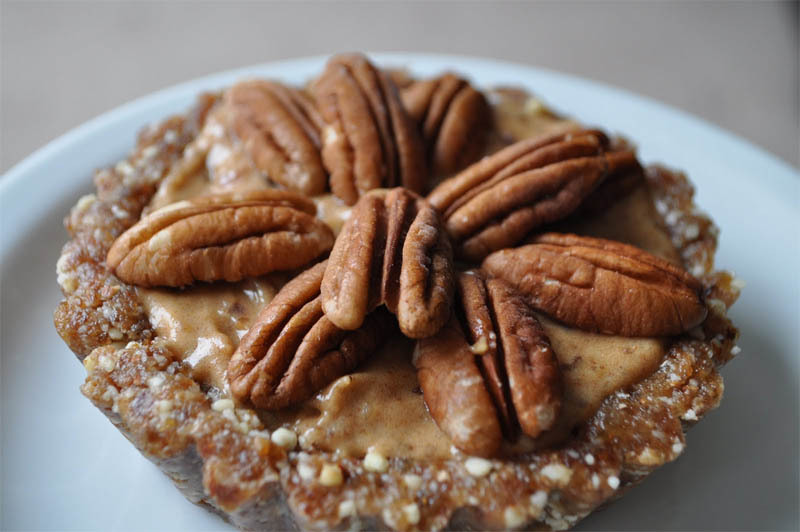 Continuing on my raw dessert kick, I’m planning on making these raw pecan pie tartlets for Christmas Eve or Day dessert. They’ve only got 5 ingredients, are completely raw and healthier for you than traditional pie. Plus who wouldn’t want a cute little “pie” of their own? 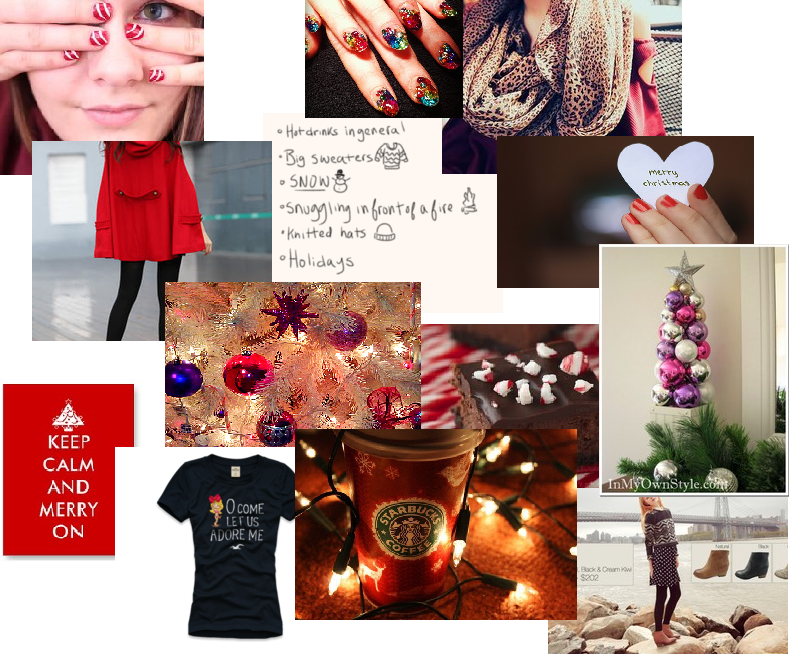 What’s putting you in the holiday spirit? Are you planning on making any desserts (share your recipes!)? Happy (almost) Thanksgiving to all my fellow U.S. bloggers! Are you excited for the big day? I know I am, since I’m planning on making a few things for the meal. I wasn’t exactly planning on doing a WIAW post this week–in fact, it almost slipped my mind! But I did promise you guys a few recipes, so I decided that a WIAW post could be good for that. I know it’s kinda cheating, but I did eat them all on Tuesday, so it’s just a shorter version of my usual WIAWs. 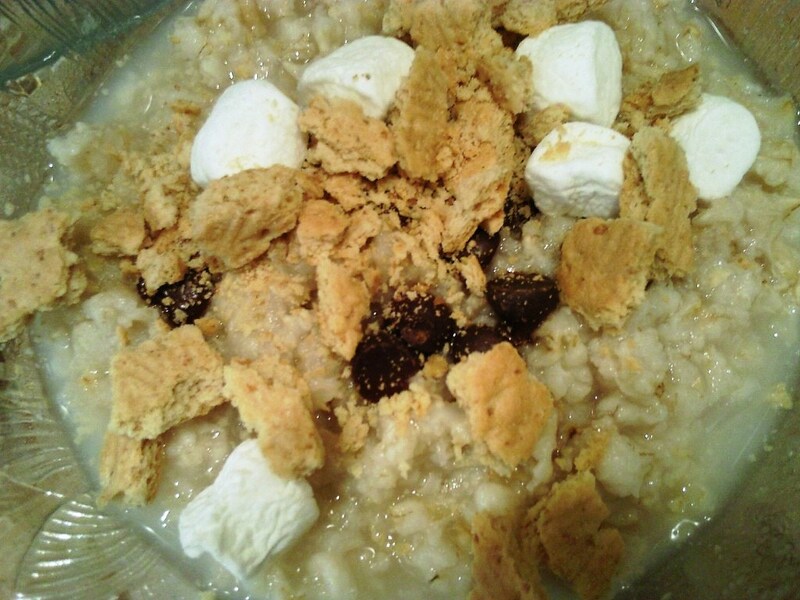 I was totally inspired by my pumpkin s’more from Monday night, so I decided to recreate it in oats form. I made a batch of plain volume oats, heated it up in the a.m. and topped with a teaspoon of vegan chocolate chips, a couple of mini marshmallows and a square of graham cracker. I loved how the chocolate and marshmallows melted into the oats. Probably my best oat creation to date! Remember those festive garland bars from WIAW a couple of weeks ago? Well, I made them and they turned out fabulously good. I’m so glad that I’ve finally been able to make a baked treat that turned out perfect. Plus, they’re completely vegan! Sweet, salty, pumpkin-y and chocolate-y. Preheat oven to 350°F. Spray a 9-inch square baking pan with PAM; set aside. In a medium bowl, whisk together flour, baking powder, salt and baking soda; add 3 T cranberries and 3 T chocolate chips and toss to coat. In a large bowl, mix maple syrup and pumpkin until combined. Add flour mixture and stir together until combined. Transfer batter to prepared pan and bake until just cooked through and golden brown, about 20 minutes; set aside to let cool. Melt remaining chocolate chunks. Spread 2/3 of melted chocolate over bars and immediately scatter remaining cranberries and popcorn over the top, pressing down gently to help adhere. Drizzle remaining chocolate over bars. Set aside until chocolate sets, about 15 minutes; cut into squares and serve immediately. This dessert was definitely a turning point for me, as far as my ED goes. I’m not sure if I’ve mentioned this before, but one of my biggest fear foods is chocolate. I love dark chocolate, but I can’t eat it straight-up, it has to be in cocoa powder form or something. I’m mostly scared of the saturated fat in it, which is ridiculous. I don’t eat very much sat fat, maybe 2 grams a day, so it scares me that just a tablespoon of chocolate chips has 2 1/2 grams. But I used 6 whole tablespoons of vegan chocolate chips in these bars, so there’s a little over 1/2 a tablespoon of chocolate per square. I gotta be honest, I loved these little bars, but the chocolate did make me feel a little guilty, especially since I already had a teaspoon earlier. I know this probably sounds completely ridiculous, but I’m working on feeling okay with eating chocolate, one teaspoon at a time. The main ingredients of the most amazing bars! Later, I made dinner for me and my parents. My mom ended up not liking it, but she hates squash for some reason! Crazy woman 😉 This recipe is not vegan, because it has shrimp, but if you don’t eat seafood like I do on occasion, then you can definitely sub tofu or even just chickpeas. I love my orange overload dinners! Chop up onion and toss in pot with garlic and a teaspoon of olive oil. Cook on medium heat until onion is fragrant and translucent. Add red curry paste to taste, and cook for a few more minutes. Add veggie broth, almond milk, pumpkin, ginger and squash and cook until boiling. Cover and let simmer for 20-30 minutes. Meanwhile, cook quinoa in 2 cups of water (for about 15-20 minutes on medium low heat), and cook shrimp in a pan until pink. 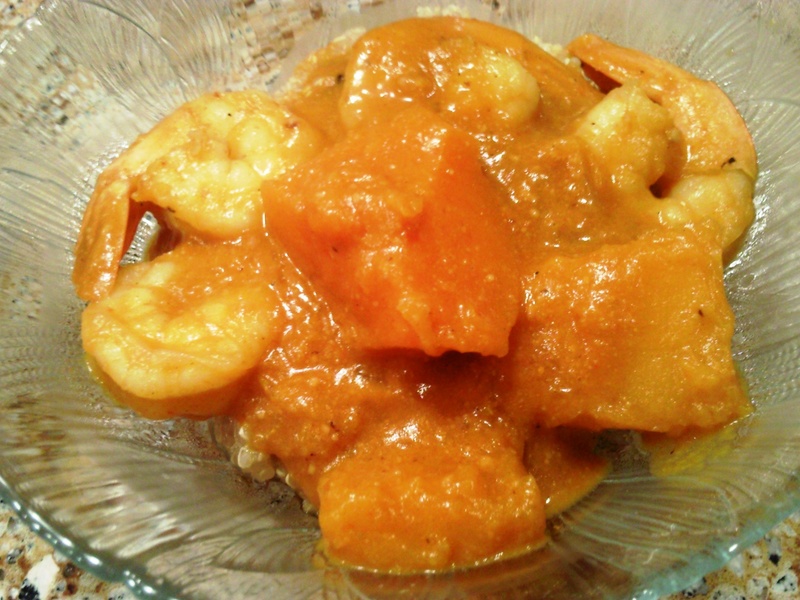 Set quinoa aside and add shrimp to curry. Cook for a few more minutes, then serve on top of quinoa. Makes 4-5 servings. What’s the best thing you’ve made lately?